This photo was taken at the Caribou mission site at Nha Trang. On the right is some of the revetments and choppers of the 281st Avn Co.(Intruders). 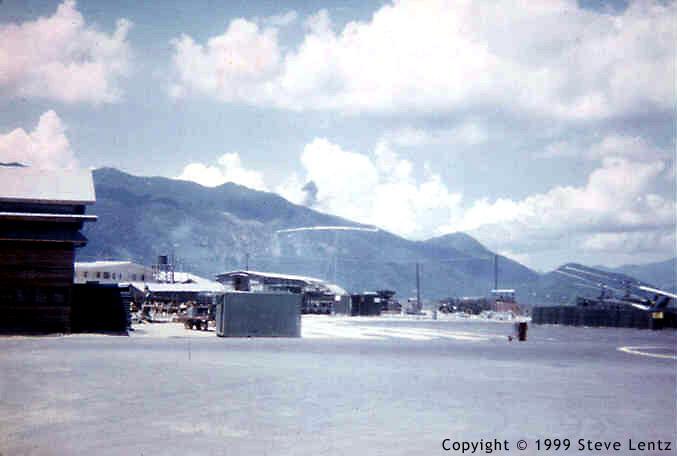 The smoke on the mountains in the background was the result of an air strike being conducted by some F-100s.